Back where his career resurgence began with a drought-breaking title last year, Roger Federer cried as he lifted and kissed the Australian Open trophy for a sixth time and celebrated his 20th Grand Slam title. 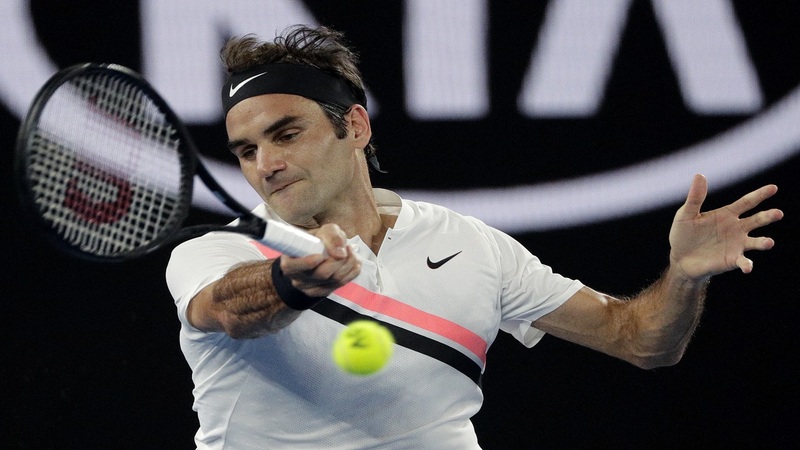 Federer started with an intensity that stunned sixth-seeded Marin Cilic, then held his nerve in a tense, momentum-shifting final to win 6-2, 6-7 (5), 6-3, 3-6, 6-1. After going four years without winning a major, Federer has now won three of the last five. "I'm so happy. It's unbelievable," Federer said. "Of course, winning is an absolute dream come true — the fairytale continues for me. "After the great year I had last year," he added, taking a deep breath and holding back tears, "It's incredible." The great Rod Laver, who lends his name to the center court at the Australian Open, was in the crowd taking photos to mark the occasion as Federer became the first man to win 20 majors. 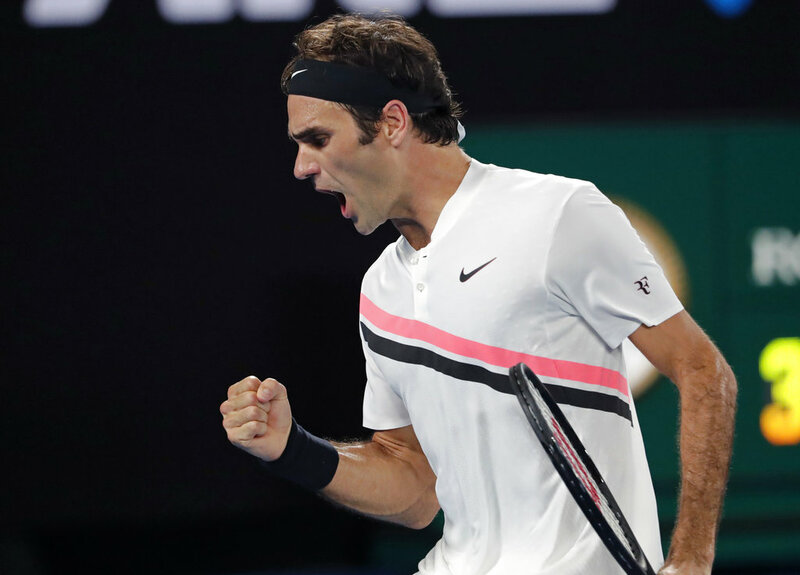 The crowd at Rod Laver Arena loudly cheered Federer on as he neared his sixth Australian title, chanting his name between games and applauding Cilic's errors. Federer was quick off the mark, getting service breaks in the first and third games and forcing Cilic to go to his equipment bag for a new racket after just 12 points. Federer only conceded two points on his serve in the opening set, which lasted just 24 minutes and was played under a closed roof because of the heat outside. 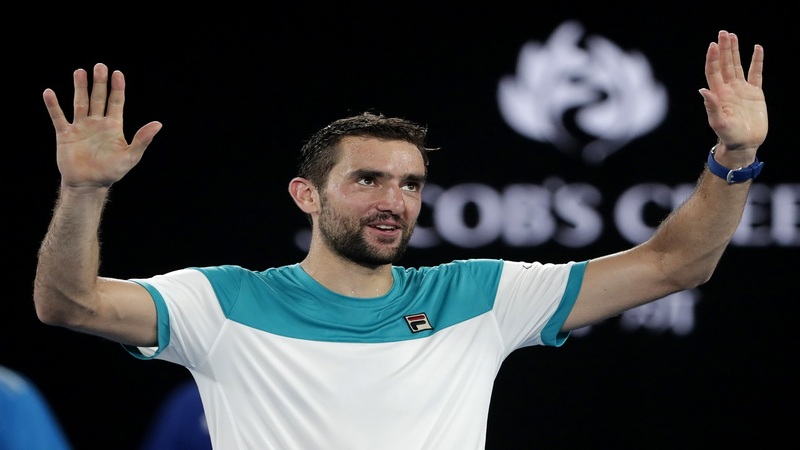 But Cilic rallied in the second, getting his big forehand working and, after missing a set point on Federer's serve in the 10th game, leveled the match in the tiebreaker. Cilic had two chances to break Federer's serve in the first game of the fifth set, but wasted them both with two unforced errors. He double-fauled twice in the second game to drop his own serve, giving Federer the decisive lead in the set. The Swiss great wasn't about to lose this one. Federer increased his level again, breaking Cilic again in the sixth game and then closing out at love — his celebrations delayed slightly by an unsuccessful challenge from Cilic on match point. It was a similar end to his five-set win over Rafael Nadal here last year and, just like 12 months ago, the tears flowed.